Yesterday night, I went to see Little Mix on their Get Weird tour at Leeds Arena. It was pouring down with rain and after a lovely meal at TGI's with Nicole, we headed to the area and got into our seats. We were Block B Row H so about 7 from the front/left side of the stage. The whole night seems like such a blur, with half a voice this morning I am functioning on pure caffeine. This is a very picture heavy post all about my night at Get Weird. 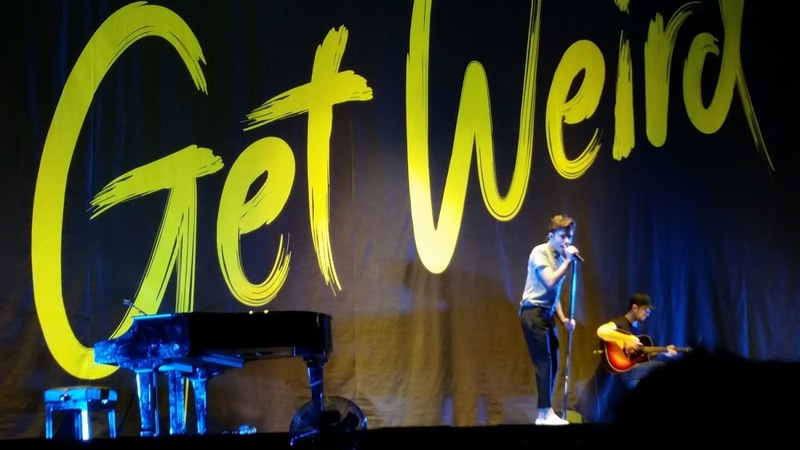 The show opened with 2 acts, the first we missed but the second we were there for - Nathan Sykes. Former member of The Wanted (who are equally as good live) sang his little heart out. He is such an amazing singer live! Then it was time for Little Mix! The arena went really dark and suddenly everyone was screaming, it is the best feeling been in that zone because you get really giddy. LM appeared sat on the floor and then flew up to the ground. They were dressed in silk pj like clothing and then whipped them off to reveal their gorgeous outfits. I really don't want to give much away because the show was FANTASTIC. 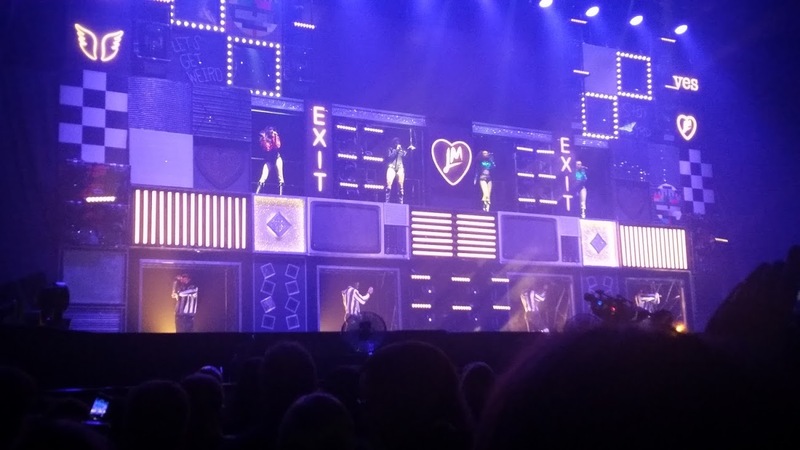 You can tell that they have spent time and effort into perfecting each part of the show, their singing was on point as usual and their choreography was out of this world, At points they burst into dance for example during DNA and Salute and it was amazing. Little Mix were actually on stage for a good 2 hours, which is longer than I have ever experienced. 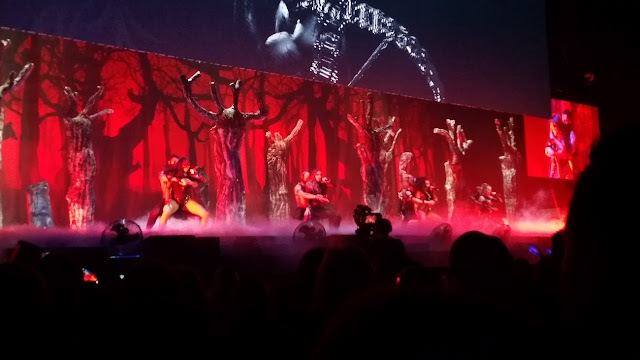 If they weren't on stage due to a costume change, then a video would play giving us a hint about the next segment. Before the song Weird People, a video all about their top tips to qualify from Academy Get Weird was on, brilliant. One of the things I loved was the detailing in their sets, you can see with all these pictures that they had really made the stage come alive and represented a different 'era' per se. This is the second time I have seen them live and they bought it even more this time. 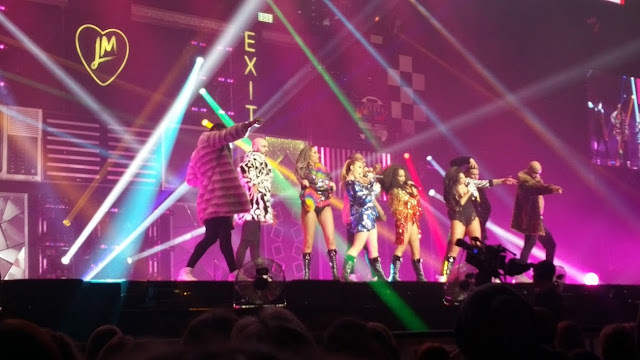 All of the girls seem really genuine too, Jesy ripped her tights during the opening and had to quickly run off stage to change them. To which the other girls were left to fill in, Leigh-Anne cracked a joke that wasn't funny at all and Jade told us all about the time she had a date with a lad in Leeds. Little things like this make the whole experience worthwhile. 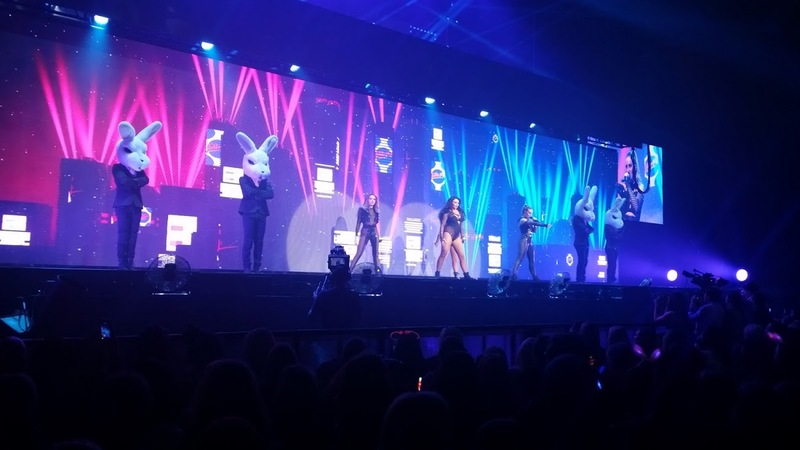 The set list was a mix of old songs such as Wings and Change Your Life to their previous album Salute with DNA and then their most recent album which the tour is based around Get Weird. Which has a whole range of songs from Black Magic to The End an emotional, tear jerker of a song. 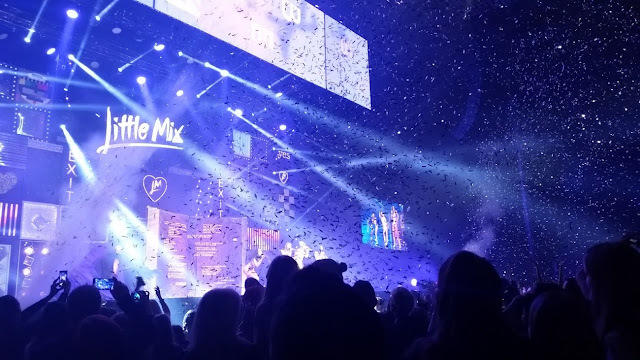 All I can say is this, if you ever get the chance to see Little Mix live then go for it. They are truly incredible. I am slightly biased due to been a fan of them but in every performance they do they put 100% in and it makes it fun/exciting to watch. Very different post from me today, hope you enjoyed! I'm off back to bed now hehe!